Homestar Ruiner is a featured article, which means it showcases an important part of the Homestar Runner body of work and/or highlights the fine work of this wiki. We also might just think it's cool. If you see a way this page can be updated or improved without compromising previous work, feel free to contribute. 12 Hallelujah!!! I can Hardly BREATHE!!! 16 Is there any hope for a Linux freak like me? 18 Forshadowing for next game? 22 Do mentions belong in other relavent articles? 29 Is this a goof? 34 Can someone finish the Summary? 35 Is anyone else seeing this bug? 46 Photo booth (Snap Shak) - reference to the TARDIS? Umm... this is exactly the description from the Teltale Games website. Shouldn't this be... original? It looks really bad when it's made with a couple right clicks. I think it's okay for now. But as you point out, when the game is released, the gameplay trailer transcript will not be relevant in this format, either on this page or on its own page. Hey guys, it's 20X6MAN, I forgot to log in. Anyways, I watched the trailer, and you might need to change the transcript. If you watch it again, you'll see what I mean. Hallelujah!!! I can Hardly BREATHE!!! Is there any hope for a Linux freak like me? Don't know if anyone saw it. I just beat the game. It thanks the hrwiki. hey guys, in extended play, the king of town is really angry at you because he was forced to get married to the mole queen. he threatens to tax strong bad disproportionately, and strong bad says "that sounds... ominous." could this be foreshadowing for the next game? List all the Easter Eggs and other secrets. Record all the Fun Facts, including Trivia, Remarks, Goofs, Glitches, Inside References and Real-World References. If these lists get too long, we can create individual articles for each section, a la Stinkoman 20X6. Write a walkthrough. One section can tell you how to blast through the game, other sections can detail how to get 100% ranking. Consider whether to transcribe the ENTIRE game? Do mentions belong in other relavent articles? If we do this, it'll be a massive undertaking; even though the game is fairly short for a game, it's still longer than any H*R cartoon ever and has lots of hidden dialogue. I think one page is enough too — although I think it should be responses, and not this article — organized into sections as proposed above. At least to start... even having played the game through, it's hard for me to visualize how much space they'll take. We can always split the sections off into pages if it turns out they are too much. That's true, and as an added bonus, seperation will ease multiple editors working on the project. I think that The Field should be a single page, because as stated above so many of the areas only contain a single object to interact with. Trophy #2 - Hedge Clipping Trophy Trim a hedge - 25% each Hedge locations: The Track, near The Stick, Marzipan's house, and the KoT's castle. Goofs * At the non-garden party, the rollover for Marzipan and Homestar is spelled "MARZIPAN & HOMSETAR". Um, I think that was intentional; remember? Marzipan kept forgetting Homestar's name, even called him "Homsar." When Strong Bad first talks to Marzipan in her garden, her mouth is backwards. I'm not sure it's a goof, because I think it happened in a cartoon before. When you beat the game, in the "special thanks" section of the credits it has hrwiki! There's a page about all the times TBC mentions us somewhere... Haldo Helscome! Can someone finish the Summary? I did have of the Plot Summary for this episode, can someone finish please? I don't have enough time to do so. Is anyone else seeing this bug? I don't know if it's a bug or not, but when I'm trying to do multiple file saves with my sister, whatever takes the top slot is overwritten when it should overwriting the actual respective slot. Has anyone experienced this, too? Where and when are there any Mole people? The player is not given trophy credit for annoying Homestar in the locker room if he enters the shower immediately after discussing the race. Photo booth (Snap Shak) - reference to the TARDIS? Hi, Welcome to the wiki! No need to be bashful, this is the perfect place! I will mention that, on talk pages (not when editing an article), you should type ~~~~ at the end, which will insert a signature for you. Even though you're an anonymous user, it still makes the talk pages much more readable and easier to follow any discussion that happens under a topic. I don't know if things were supposed to run differently in the PAL Wii release, but there's been some form of misunderstanding regarding a couple of the music references in the Inside References section. First of all, the two tracks at the track sound different than the referenced Bubs' Concession Stand track. I swear that the first track (heard when doing whatever you want around the track) was an original track for the game itself, while the other (during the Free Country USA Triannual Race to the End of the Race *fanfare*) seems to be in a sbemail that has escaped the top of my head. Secondly, the music I heard when outside the King of Town's cascle was not the theme for his Very Own (Quite) Popular Cartoon Show, but the music heard during Strong Bad, Homestar and Coach Z's flashbacks for The DNA Evidence. Yes, it's not the Of Town's Very Own Quite Popular Cartoon Show. Also, sbemail action figure. Both the email song and the music that plays when you view the action figures. The track music is not original to the game. It is from Toikey Day, the "Falling Asleep On The Couch Watching Football Bowl" theme. Can we maybe get some organization here? Maybe lump all the music references under their own sub-heading or something? 1: spelling, 2: grammar, 3: that's something I noticed because I was reading that book at the time, genius. I mean it, that's genius. I won E1 of SBCG4AP got the last rank. Captcha w00t! i have this glitch where whenever i am awarded the silver trophy of ultimate destiny, my game crashes/freezes. is this normal or what? because now i can't get my money back (stupid wiiware). Is it worth noting that the Teen Girl Squad cards on the table are direct references to old issues? Is it Just me, or does somebody notice a rescemblence beetween Cordon Bleu, and Corbin Bleu. I mean replace bi in Corbin, with do and WHAMMO Cordon Bleu, shouldn't this be listed in Real-World Refrences? 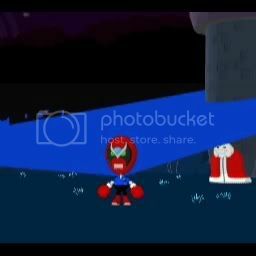 Strong Bad's Deleted line, "Survey Says...DELETED! ", is a reference to the popular game show Family Feud. 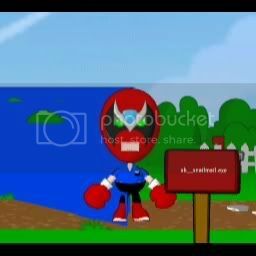 In flashback, Strong Bad mentions how if Homestar lived here, he'd have more "crushed spirits" and "non-broken bones." This seems awfully similar to the second half of this episode. 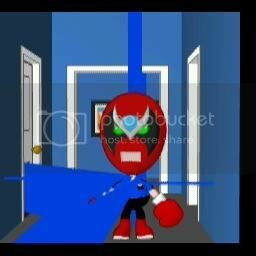 I'm glad you've taken the time to alert us to the issue you're having with Strong Bad: Episode 1:Homestar Ruiner. I would first like to thank you for your patience while we researched the problem and I want you to know that your concerns about the freezing issue have been forwarded to the appropriate departments. This page was last modified on 25 March 2013, at 06:10. This page has been accessed 26,037 times.